The competition was fierce," noted Gareth Lewis of the NoE. "We have seen a high number of entrepreneurs coming out of this recession and more early stage companies taking advantage of our network as they look to embed themselves in overseas markets. In its second year in Silicon Valley, Geeks Going Global, also known as the Liverpool Vision and the North of England Pitch Challenge, experienced strong growth with over 300 companies vying for the fifteen coveted spots to compete. This year’s innovative entrepreneurs were competing for a trip to Liverpool to participate in Software City UK as well as the opportunity to meet with the Liverpool’s top business leaders and pitch their business plans to the UK’s most influential investors including Richard Farleigh. They will also get an inside look at a healthy £521m local enterprise fund that is helping new technology businesses of all sizes tap into a global market. Liverpool Vision’s Digital Industry Director, Steve Smith, highlights that “the combined efforts of Software City, Liverpool Vision and the NoE have produced an exciting, innovative way of bringing investors, entrepreneurs and businesses together in a cocktail of events driven activities compelling for the digital & creative industry. This program, conceived four years ago in Liverpool, is spreading across Europe and Silicon Valley attracting serious players along the way”. The competing fifteen companies were chosen based upon the strength of their business plan and technology and then given the opportunity to pitch their ideas to the judges including industry experts from AMF Ventures, Threshold Ventures, Liverpool Vision and the North of England. Five companies emerged successful. This year’s winners include: SiXits, Game Attain, rrripple, Qless and Snapizzi. 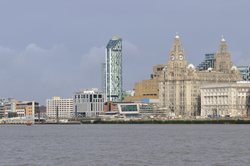 Liverpool and the wider North of England region has become a top location for many Silicon Valley companies, including HP, Cisco, Google and Yahoo, to set up their UK and European operations. Major cities like Manchester, Middlesbrough, Liverpool and Sunderland are home to a large cluster of digital media and IT-based companies putting the region at the forefront of the UK’s digital industry with advanced technologies in Interactive TV, mobile, e-learning and games. “I’m excited about the opportunity to work with Liverpool Vision and to visit Northern England” says Lou Hong from GameAttain. “This visit is uniquely attractive because of the combination of technical talent and partnerships opportunities within the thriving gaming industry in Liverpool”. The low cost of doing business and an existing infrastructure that makes it simple for companies to hit the ground running. Successful local grown talent, like Wildfire, YR Free and WorkCast, add to the area’s appeal, making it a strategic entrepreneurial location for Silicon Valley-based companies to dabble in the European market. Heather Hiles from rrripple says "I'm extremely excited to connect and develop partnerships with digital media and education related companies. We are serving the world market, so it is a great opportunity early on to build relationships with European entities. A start-up like ours does not have the budget to do such business development yet, so this is a special opportunity." SiXiTS is a new media production company and publisher of innovative internet enabled content, across multiple platforms. Our goal is to create rich "new media" IP utilizing cutting edge technology, for scalable distribution through existing and emerging internet enabled channels, such as the Youtube, iTunes, Facebook, Android, XBox Live and others. In the form of social games, and evolving rich media, using authoring applications such as Autodesk products, Flash and Unity3D. Snapizzi is developing a unified photography marketplace to monetize crowdsourcing that takes advantage of its photo identification and SaaS platform. Photos taken at a venue using Snapizzi’s patent-pending technology are automatically tagged and made accessible for sale based on context. Snapizzi’s solution benefits the entire value chain and brings it together in a central place for transaction. Photographers today are using Snapizzi’s end-to-end workflow automation to reduce cost and to deliver consumers their photos instantly and privately for purchasing online. Snapizzi has seen 30% growth in revenue month-to-month since launch and has established its first international partner. QLess Queue Manager provides a real-time animated, graphical view of your virtual queues. The interface is designed to be optionally used from a touch screen computer, and includes an on-screen keyboard. Employee interaction can be as simple as touching two buttons. QLess Kiosk provides a simple series of touch-screens for customers to enter themselves into your virtual queues. They can also enter themselves into queues with their cell phones, either through our Interactive Voice Response system, or by responding to text message prompts. GameAttain (GA) is a social discovery engine that helps consumers find new games by collecting, processing, and sorting relevant game information into a single, customized news feed. GameAttain's unique offering integrates multiple data sources to intelligently detect interests, preferences, and sentiment from gamers and produces recommended information and games for users. rrripple is genuinely the next wave of a digital media aggregation and curation platform. rrripple empowers users consolidate, display, create, and collaborate on all of types of digital content (games, videos, photos, links, PDFs, Word, Excel, audio) on one digital portfolio. Our timeline interface allows users to chronicle all their content, and the content of all groups. Users have the power to socialize, comment, collaborate, share whatever content they wish. The platform has the following key components: 1) intuitive design with touch-screen and drag & drop design; 2) cloud based-architecture so all content is accessed via the web and any mobile smartphone or tablet device; 3) Extensible systems, REST-based API to foster developers to offer software, apps, games, content creation and editing capabilities. Already integrating with Adobe, Blackboard and Webanywhere tools. 4) Addressing an observable pain point--the education industry needs a SECURE, PRIVATE, yet ENGAGING platform to consume digital content. Our enterprise customers license our platform to deliver digital content and tools to their education customers.